Why should you pay attention to your ancestor’s occupation? Are you merely filling in the details of a life or looking for an essential clue to break down a brick wall? Each of our ancestors is unique – however, figuring out what makes them unique can be challenging. Finding your ancestor’s occupation may help distinguish your Ebenezer Smith from other Ebenezer Smiths, particularly if your ancestor’s occupation was something other than farmer or laborer. So what can your ancestor’s occupation tell you? First, knowing the occupation gives you a broad sense of location. For example, you won’t find your nineteenth-century coal miner ancestor living on the river deltas of the Potomac or Mississippi river. One of the Pennsylvania coal belts is a more likely location. Your eighteenth-century mariner ancestor will most likely be found in one of the major ports on the eastern seaboard. Similarly, some occupations are concentrated in towns where there is enough demand for their services to run a successful business. Occupations in this category include grocer, shoemaker, watchmaker, and baker. [Your] ancestor’s occupation can suggest a migration pattern. Second, your ancestor’s occupation can suggest a migration pattern. As our ancestors changed location, they followed a predictable pattern where the “restless spirits, trappers and hunters primarily,” entered a new area first, followed by farmers and tillers of the soil. Next, those occupations that support the farmer arrive. 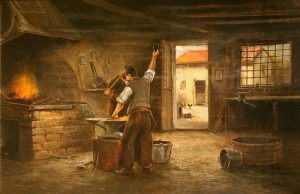 These include the blacksmith, the cooper, and other crafts and tradesmen. Finally, the tavern keepers would be found where roads or canals were being built. Third, knowing your ancestor’s occupation assists with cluster research. 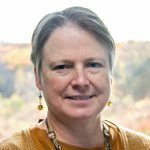 A valuable genealogical research tool, especially when facing a brick wall, cluster analysis – or the FAN club technique, per Elizabeth Shown Mills – refers to your ancestor’s family and friends, associates, and neighbors. Your ancestor’s occupation will help you identify his or her associates. A rope maker in a port will be associating with ship builders, riggers, and sail makers. A grocer will connect with wholesalers and shipping agents. The blacksmith may have associated with carriage makers and wheelwrights. Some occupations, by the nature of the work, created a body of records that you may be able to access and review. If your ancestors included railroad men, canal builders, or mariners, you may find traces of their histories in records held by railroad companies, canal owners, or port authorities, respectively. The first choice for discovering your ancestor’s occupation from 1850 onward is the U.S. Federal Census. The census enumerator recorded the occupation of each member of a household. Other sources of information about an occupation include the registers used by town clerks in the nineteenth century to record births, marriages, and deaths. These typically included a column to record occupation. Passenger lists from 1820 onward recorded the passenger’s name, age, country of origin, destination, and occupation. City directories from the early 1800s onward tend to be gold mines of information about occupations. Some cities such as Philadelphia (since 1785), New York (since 1786), and Boston (since 1789) published directories starting shortly after the United States was established. The directories included the head of household’s name, occupation, and address. From the late nineteenth century forward, obituaries include information about the deceased’s life work. (Before then, an obituary was rarely more than a brief death notice.) Two important military records may include a person’s occupation: the draft registration card and the pension record. Beginning with Civil War draft registration records, the occupation of the person subject to military duty is listed. The World War I and World War II Selective Service Records include a space for the civilian’s occupation. Newspapers may reveal your ancestor’s occupation either through an article about his or her profession or, more likely, an advertisement posted by your ancestor announcing goods or services for sale. Sometimes you will need to decode an occupation, as it is now a defunct or an infrequent line of work, e.g. hog reeve, top sawyer, or wheelwright. A hog reeve was a town official responsible for rounding up stray pigs and making sure their owners paid for any damage they caused. This term may be found in New England town records. A top sawyer, part of a two person team using a two-handled saw to cut logs, stood above a log while the other person stood in a pit below the log. And a wheelwright was a person who made wagon and carriage wheels and bound the edges with iron. In addition to Barbara Evans’s book A to Zax, several websites offer lists of old occupations, such as FamilyResearch and Hall Genealogy. Lois Kimball Mathews, The Expansion of New England (Boston and New York: Houghton Mifflin Company, 1909; reprinted Boston: NEHGS, 2012), 148. Elizabeth Shown Mills, Quicksheet: The Historical Biographer’s Guide to Cluster Research (the FAN Principle) (Baltimore: Genealogical Publishing Company, 2012). Barbara Jean Evans, A to Zax: A Comprehensive Dictionary for Genealogists & Historians (Alexandria, Va.: Hearthside Press, 1995), 136. Thanks for sharing this. I find it to be an brilliant article. I am especially interested in migration patterns and cluster research. I research in, and write about Norway, but your advice is just as applicable here. Thank you! I appreciate the international perspective. Very helpful. Good insights. Clear and concise and appreciate the time frames for different sources. I wonder if you can also check membership status in a guild, order, union, or other organization to which your ancestor may have belonged? One of my brick walls was a stone mason. Thanks for pointing me in a new direction! Hi Debra: Sometimes the records of guilds or societies are available and make an excellent source of information about your ancestor. In England there were guilds of stone masons which have left records. Another early settler in the Holland Land Purchase (Genesee County is the area I’ve rad about) was the sawyer, making it possible for others to clear their land and have a mill to work the logs. That was new to me! And once you learn of an occupation, you can (sometimes) find a place that has an exhibit or recreations. One of my favorites is The Farmers’ Museum in Cooperstown where you can experience 19th-century rural and village life through demonstrations and interpretive exhibits. Thank you — this is a great suggestion. Also important to remember is that jobs often changed, especially for laborers who went where the work was (migration clues! ), but also for small business people since most start-ups failed in earlier times, just like now. City directories are a great source for tracking job changes, since they list addresses. John Smith teamster 5 Main is almost certainly the same person as John Smith painter 5 Main in a following year. Directories often also list each resident if working or in school, which helps in identifying the target people/families. Finally, directories were common in small cities, too. I’ve seen directories for CT and PA cites as small as 10,000.